All-Ireland Craft Beerfest (September 7-9) | Come Here To Me! With the Tall Ships Festival and the Electric Picnic behind us now, we’ve moved into September and the days get shorter and colder, if that’s possible. Still ahead of us though is an event we’re really excited about, with the All Ireland Craft Beerfest taking place this weekend. We’ve always given good time to Irish microbreweries on the site, and even devoted one of our pub crawls to them in its entirety. 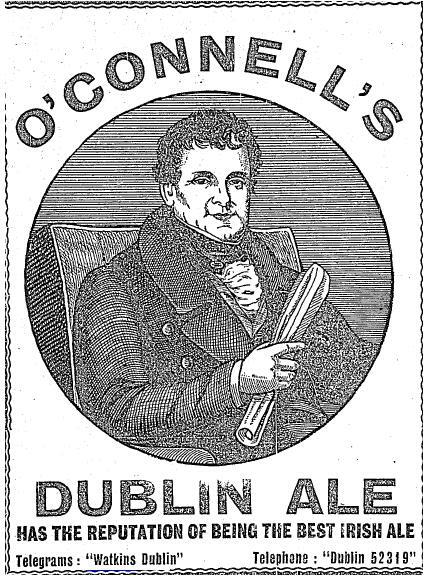 We’ve also dug up some gems from the brewing history of the city, for example this advertisement for O’Connell’s Dublin Ale, no longer found on tap anywhere in the capital. A city that was once host to over 30 breweries was now reduced to one. Guinness was so dominant in Ireland, that when it started its first advertising campaign in England in 1929 it felt it was a complete waste of money to spend anything in Ireland. Consumers either drank its beer or gave up drinking. In recent years there’s been a brilliant trend in Dublin which has seen the microbrewery and the craft beer pub both flourish. Not alone craft beer specific pubs like The Black Sheep and Against The Grain, but even pubs like the Bowes and the Cobblestone (two Come Here To Me favourites) have hugely diversified their taps. We’re certainly popping into the RDS this weekend for the festival. 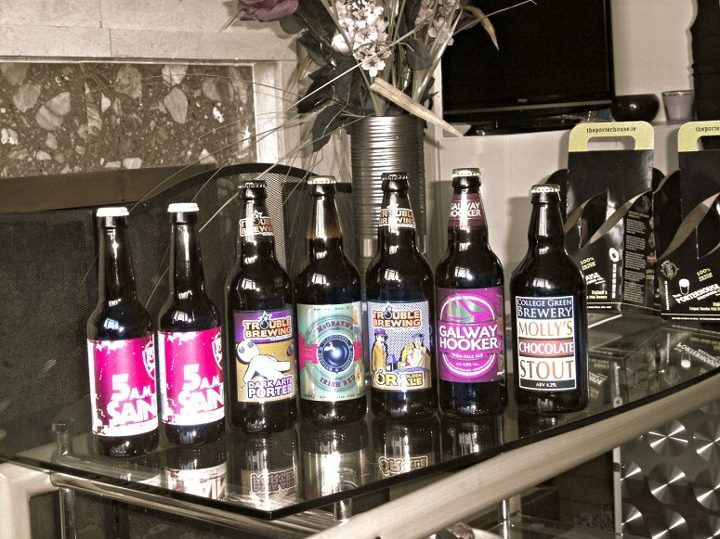 Most of our favourite Irish brewers are on hand, including Trouble Brewing, Metalman and Dungarvin. The festival is open on Friday, Saturday and Sunday, with more information on their site here. Well blow me down. I was a CAMRA member for 30 years and never knew about its formation – in Krugers Bar in Dunquin, formerly owned by Paidi O’Se. There was certainly no craft beers there in 1971, only stout to die for. Looking forward to your report from the RDS – gasping for a drop of the Franciscan Well’s Weiss Beer just thinking about it. It’s an irony that Ireland is so closely associated with beer, given that until recently there were was only a black one and a gold one (OK, exaggerating, but you know what I mean). Irish drinkers, globally, are not very curious. So it’s important to champion the few nutcases that start new breweries as they are up against one of the biggest brewing organisations in the world and a reluctant market. And like they say in the report, beers from Porterhouse, Carlow and the others are generally a better drink than industry-produced beers.